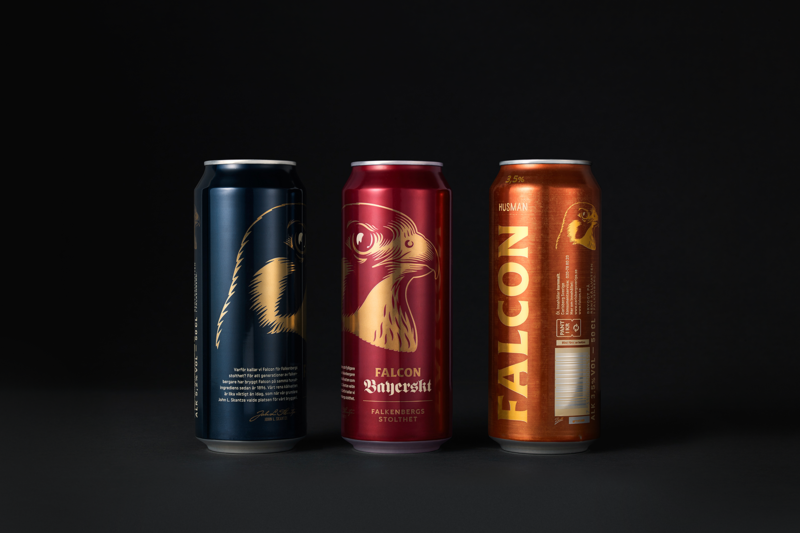 In 2011 we redesigned the classic Swedish beer brand Falcon, and in 2016 it was time to revisit the brewery once more. Six years is a long time in the world of beer, and the past decade has seen an unprecedented uptick in diverse competition from established and independent breweries alike, leading to an oversaturated market where mainstream beer brands are struggling for relevance. 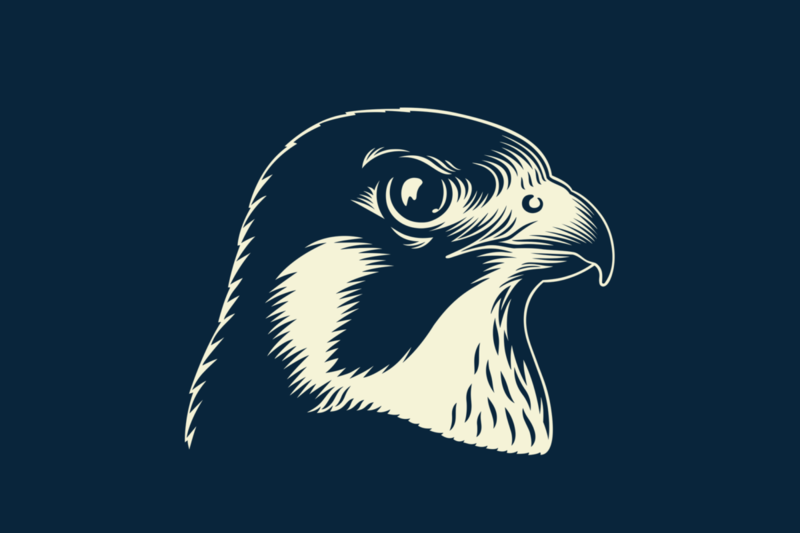 So the challenge was simple to formulate yet complex in scope and objective – how do we reinstate Falcon as a contemporary and culturally relevant icon? Through a significant insight process involving stakeholder interviews and qualitative consumer insights, we established a new positioning territory that takes great pride in being mainstream. 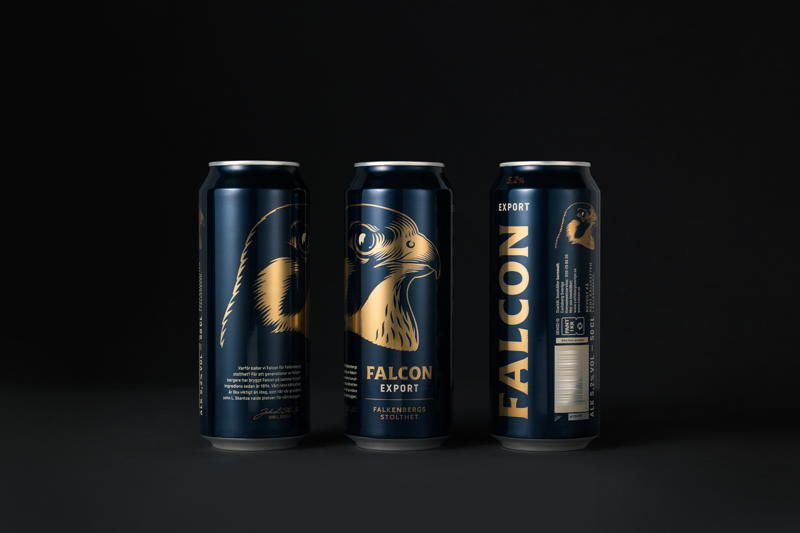 Falcon is a beer for everyone, with the confidence of having 120 years of real, actual, not-made-up-to-look-like-quality-beer history, brewed in the same town that was once chosen for its pure, clean water over a century ago. By the people of Falkenberg, for people who likes to drink beer together. With the client we created a clear brand architecture and a distinctive design structure that would allow the brand to drive through value, volume and preference. And more importantly, a simpler choice for the consumer. Over the years, the brand had accumulated a significant amount of graphic elements. 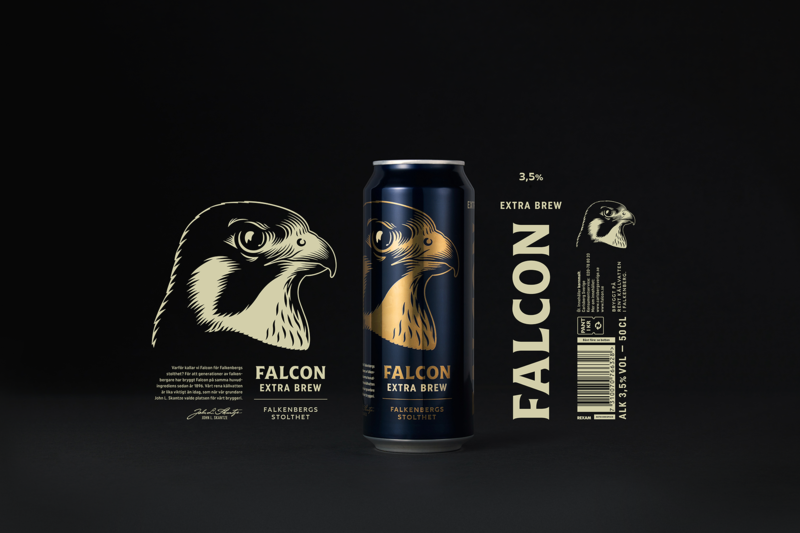 Part of the process was to reduce the brand down to its core, where the iconic falcon would be counted on to carry the communication it represents – freedom, purity and strength. The wordmark was redrawn to give it a distinct sense of craftsmanship without losing recognition. Typography and colour was consolidated and adjusted to reflect the simplicity and pride of the territory, and a grid system was introduced for the first time, to simplify and support the communication of brand hierarchy across hundreds of touch points. 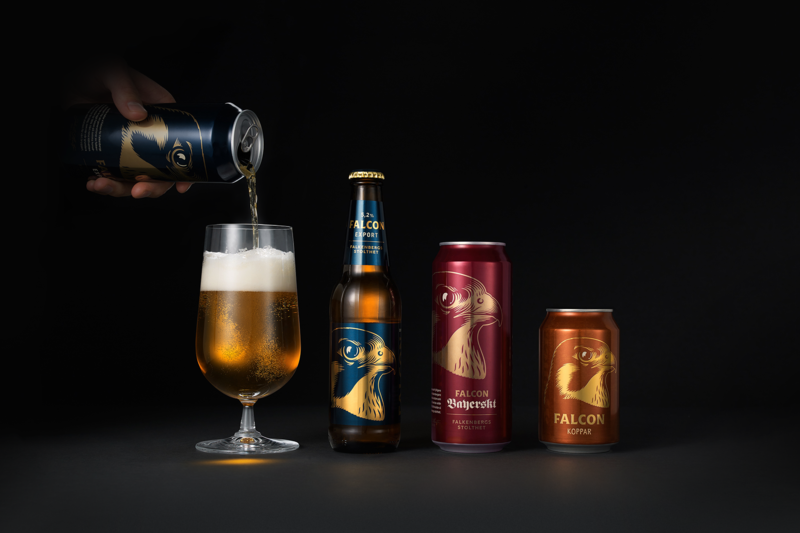 The new Falcon beer falls into the category of looking very different, yet a majority of consumers won’t notice the change. But they will feel it, without knowing or consciously considering it. Because the brand itself hasn’t changed. It has simply evolved into what it always was, deep down, without the excess of iterative layers and confusing family tree of line extensions. It’s Falcon, pure and simple. and a distinctive design structure.